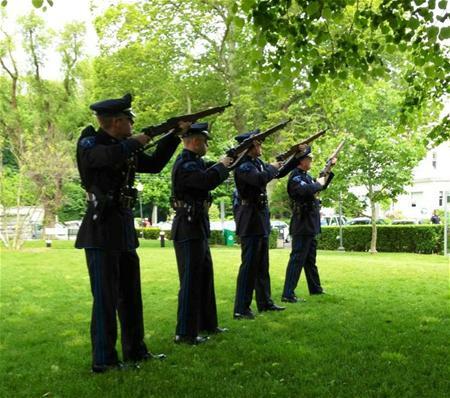 The Provincetown Police Honor Guard has been established to represent the members of the Police Department at police funerals, parades and other ceremonial occasions. 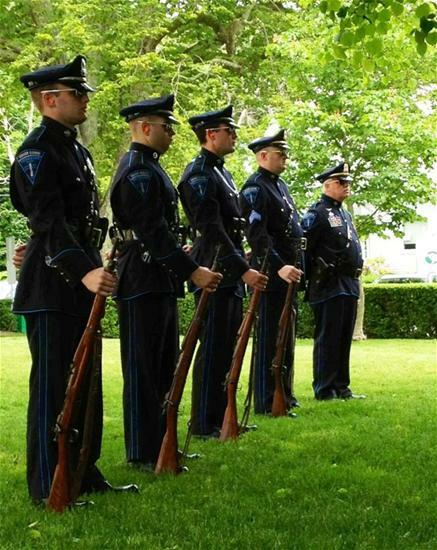 The Honor Guard will promote honor, professionalism and integrity through its conduct and image at all times holding the department’s core values to the highest degree. 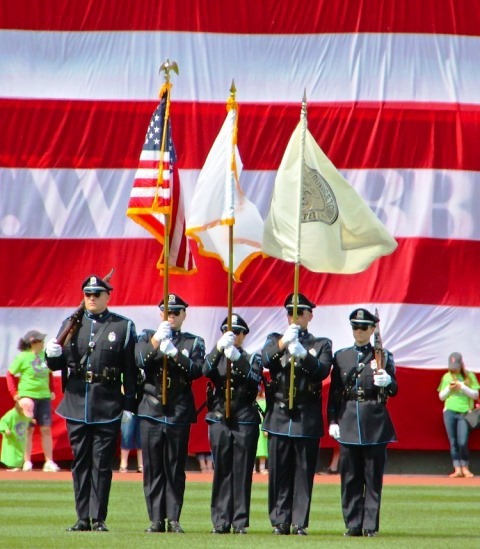 Please know that on Saturday, June 06, 2015 the Provincetown Police Department’s Honor Guard presented the colors for the playing of the national anthem before the Boston Red Sox 4-2 win over the Oakland Athletics at Fenway Park in Boston. Team members carried the American flag, the Commonwealth of Massachusetts flag and the Town of Provincetown flag. 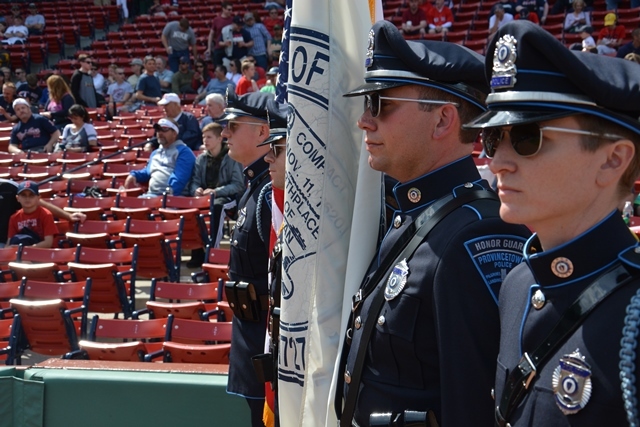 The volunteer honor guard members attending this event were Officers Rachel Peters, Kevan Spoor, Christopher Landry Aaron Kacergis and Jennifer Nolette. Detective Rich Alves, accompanied the unit and his work is attached. 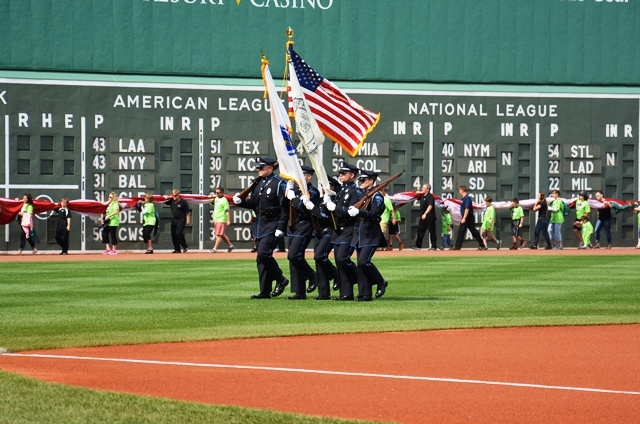 The Fenway Park visit is the latest high profile appearance for your honor guard, they last appeared there on September 05, 2013.